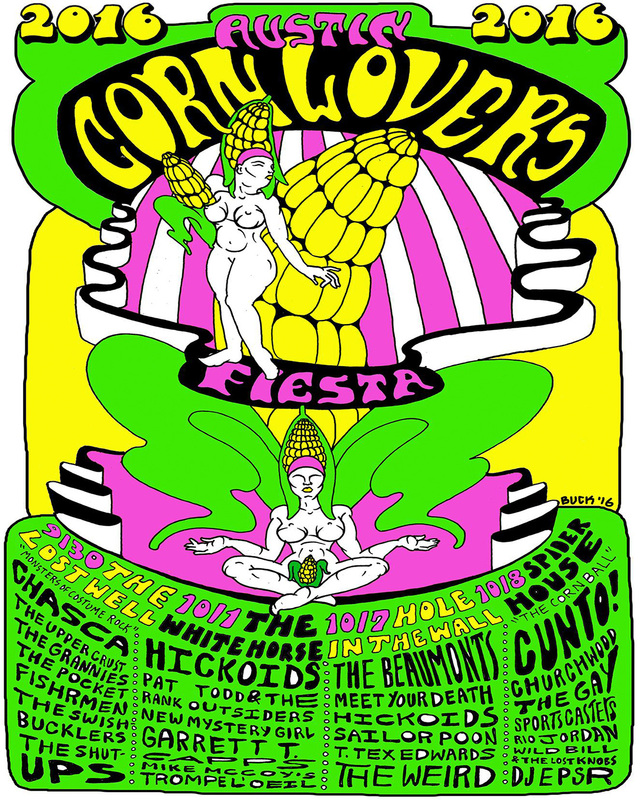 The Austin Corn Lovers Fiesta is a mini, floating club festival held in Austin, Texas and is hosted by the Hickoids and the Saustex record label. Spider House Ballroom 2906 Fruth St. The Lost Well 2421 Webberville Rd. Sat 10/8 Spider House Ballroom (Austin, TX) Cunto!